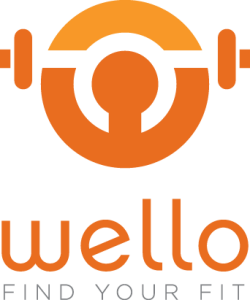 Wello is an online platform offering live fitness training over two-way video. It provides an affordable and easy way for its users to workout with a live fitness professional of their choice. Its first product called 1-on-1 personal training was launched in 2012. In 2013, Wello completed the program at Rock Health and became part of a prolific network of the best digital health companies in the country. It matches clients with the right Wello-vetted trainer and workout program for them, provides seamless scheduling and payment, and establishes the live video connection for the workout to take place. 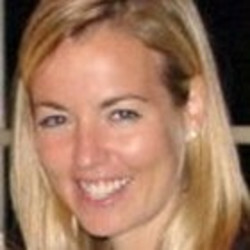 Wello was launched in 2011 by Stanford MBA students Ann Scott Plante and Leslie Silverglide. It is based in San Francisco, C.A. Leslie doesn't believe in the word 'no' which is useful when driving hard to attract clients, trainers and partners to Wello. As an ex-gymnast, Oxford squash player and co-founder of Mixt Greens, Leslie is tremendously passionate about health, wellness, and good salads. Appropriately, Leslie and Ann met their first week at Stanford pairing up as ping-pong partners. Ann has her hands in many pots, including the office cookie pot. She puts the building blocks in place, leads product and also makes sure that the books balance, the team functions and the customers stay happy. Her love of agendas may trace back to Bain and Co. She was once an avid tennis player (go Dartmouth) but now cheers on the Cardinal of Stanford, where she earned her MBA. Wello, the startup that connects people with personal trainers to receive private fitness consultations through online video chat, is in talks to be acquired by Weight Watchers, sources tell TechCrunch. This mission fits well with Weight Watchers, which has become a household name for making weight loss and nutrition consultation accessible to the masses. Wello has said its core aim is to “democratize” access to personal fitness training, which has historically been a relatively high-end and rarefied service. Weight Watchers has been moving in recent years to expand its reach into the wider health/fitness “lifestyle” market, so Wello could be a nice bolt-on product to add to its offerings. Since its launch two years ago, Wello has extended its product lineup from one-on-one video chat to include group training sessions and gym-like monthly membership subscriptions. Wello is such a product, a smartphone case that has some advanced health-tracking features in mind, and comes both with iPhone and Android support. Additionally, the Wello case also integrates with any wearable devices that have Bluetooth LE connectivity, including Fitbit or Jawbone. Not all health and fitness smart devices launched this year will wrap around the user’s wrist (or even ankle for some products), but also around your mobile devices. In the U.S., the device will ship in fall 2014, assuming it’s approved by the FDA. The Wello can already be pre-ordered in the UK and Europe for £145 and €120, respectively, where it will ship this summer. To test out the idea of live online fitness class, the founders did a workout with a trainer via Skype. While the company declined to share their number of users, they said two-thirds of those who take one class online go on to take another. AdvertisementIn the past few years, fitness apps, online video exercise classes and even streaming classes have been on the upswing. AdvertisementIn July, the startup launched live online personal training sessions, in which trainers provide instruction with a webcam, laptop and internet connection for an average of $40. The Kleiner Perkins-backed startup, which is part of health tech accelerator Rock Health’s current class, on Tuesday announced that it had added group lessons to its online training options. The Wello group workout rate is also a significant discount over typical group classes at the local gym. In addition to interaction with the trainer, group workout participants will be able to see and chat with other members of the group workout. People who sign up for group classes on Wello can then invite their friends to also join. The company raised $1 million in seed funding from Kleiner Perkins, Mohr Davidow, Aberdare Ventures, Mayo Ventures, Morado Ventures, S-Cubed Capital, PhilQuo Ventures, and other angels. Now, Wello users will be able to take group classes with trainers, allowing them to connect with friends, family, or other users who wish to participate in the same classes. Wello provides a marketplace to connect trainers with clients, but does so with live video sessions over the Internet. When they do connect with a client, they can provide a more personalized workout than someone would get from a typical class environment. Online fitness marketplace Wello launched earlier this summer to enable users to get private, one-on-one training sessions — but to do so in the comfort of their own homes. Users can choose between 25-, 40-, and 55-minute sessions, and Wello co-founder Leslie Silverglide says group sessions will be coming soon. The idea is to help people who don’t have time to go to the gym or don’t want to do so to get personalized training through live video sessions. And, well, you might be the target demographic for fitness provider Wello, which uses video chat to allow anyone to get personalized training sessions online. Wello has launched a marketplace that connects personal trainers with potential clients, using two-way video chat to enable anyone to get training sessions at their convenience. All users need is a laptop, web connection, and webcam, and they can begin scheduling and taking personal fitness classes. Once booked, users will receive a link to log in to their one-on-one training session. For personal trainers, the site provides a new revenue stream and can do away with the hassles that come from booking sessions through whatever gym they might work at. Home workout videos (or VHS tapes, as they were) were popular in the 1980s, and there are now plenty of modern-day equivalents, including workout videos on YouTube or Netflix and exercise program apps for your phone. AdvertisementCustomers can browse the different trainers and exercise offerings on Wello’s site, picking the ones that fit their schedule and budget. Until then, startup Wello has a pretty close second — using webcams and the OpenTok video player API, the company lets customers book sessions and train with with personal trainers from pretty much anywhere they can get a Wi-Fi signal. Wello, however, adds another person on the other side of the screen for perhaps a little more motivation. Wello takes a percentage of the price the customer pays, and customers are provided with a link to the video session to access the class. That’s why a group of Stanford computer science and business students started the Andreessen Horowitz-backed FounderSoup program. Afterwards, each team was stationed around the Stanford d.school and approached by those interested in joining their team. To ease networking, FounderSoup made temporary business cards for all attendees with their contact info and specialties. 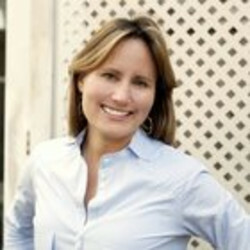 Oxford, Stanford, and Johns Hopkins-educated Co-founder Leslie Silverglide previously co-founded and sold Mixt Greens, a quick-service restaurant group, to Nestle’s investment arm. For now the program is only open to current Stanford students.